This one is a MUST see! You will love this 3 bedroom, 2 full bath home with a finished basement! Updated throughout! Inviting living room with gas fireplace, hardwood floors and crown molding. The kitchen has oak cabinets, a breakfast bar, tile flooring and neutral decor. Separate dining room has hardwood flooring and chair rail. Nice master suite upstairs with a master bathroom! Double sinks and a WALK-IN CLOSET!!! Large finished basement. Fenced yard with a deck. 1.5 car garage with a screened in porch area! Updates include, most windows, sump pump (2012), furnace (2011), paved driveway (2012)and cosmetic throughout. Great curb appeal! Call today for your private showing. Direction: Browns Ln. 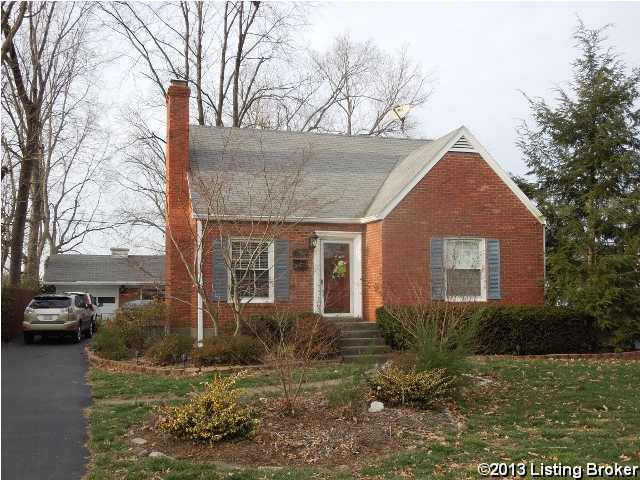 or Breckenridge Ln.to St.
4209 Alton Rd, Louisville KY 40207 is a Home, with 3 bedrooms which is recently sold, it has 2,000 sqft, < 1/4 AC sized lot, and 1 Car Garage,Detached parking. A comparable Other, has bedrooms and 0 baths, it was built in and is located at and for sale by its owner at $ 0. This home is located in the city of , in zip code , this County Other, it is in the Subdivision, and St Matthews are nearby neighborhoods.